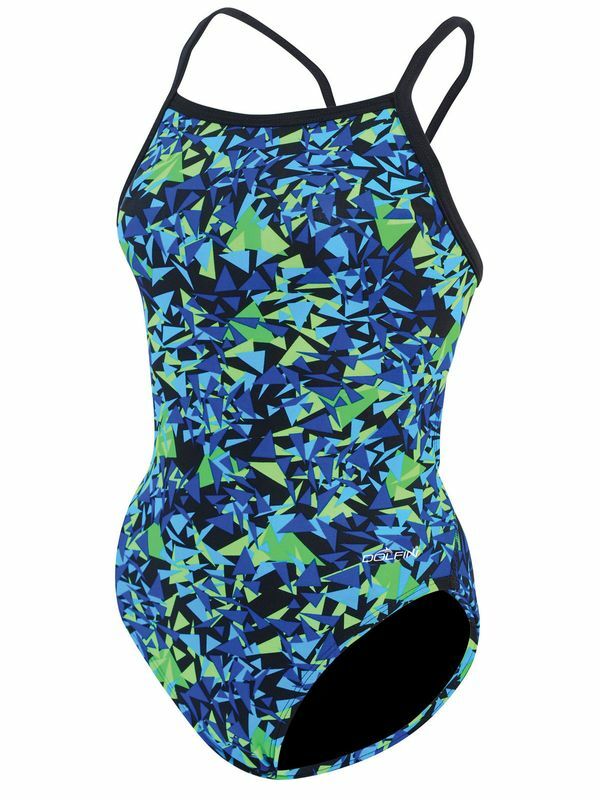 The Dolfin Winners Blitz Blue Womens V-2 Back One is black with a blue and green over lapping triangle pattern. Thin black straps come together in the back to form a V and the keyhole back design is both functional and comfortable. Look good and feel confident inside and outside the pool in this classic swimsuit.